ZIONOR delivers superior quality goggle with durable material, innovation design and professional pre-sale, after-sale service and solid warranty policy. Our Manatee series swim goggles featured with anti-fog, anti-wind and 100% UV protection to protect your eyes when surfing, kayaking, jet skiing, swimming and etc. 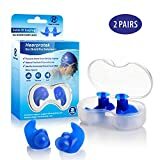 How to choose correct prescription swim goggle? Please consult with your optometrist first confirming diopters of each eye’s. 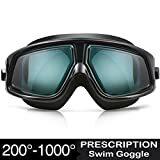 ZIONOR prescription swim goggles have 9 level of myopic degree and due to swimming goggles are differ from standard corrective glass, there will be 0.5 deviation, for instance, swimmer who has -2.5 on left eyes and -3.5 on right can choose -3.0 ones, -4.5 on left eyes and -4.0 on right can choose -4.0 ones. 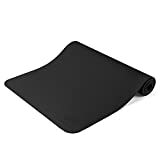 – Adjustable strap size for different head. – In-mode construction with high-end material for better protection. 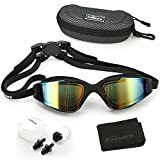 – Solid anti-fog, shatter-resistance and 100% UV protection dark tinted lens for outdoor swimmer. ZIONOR are committed to 100% satisfaction to our customers. We are highly appreciate all the customers’ opinions to improving our store, and if anything you are unsatisfied or have any problem of the products, please feel free to contact our customer service for the solution. Hypoallergenic silicone material with big goggle frame gasket provides solid seal and comfortable wearing experience. 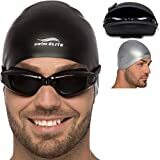 Substantial and durable swimming goggles for all kinds of swimmers. Shatter-resistance, 100% UV protection and anti-fog features give clear and wide vision under the water. No more irritating when swimming or have fun in the pool or lido. Easy adjustable strap for different head sizes and stay in place, loose-free. Goggle fits well with eye socket without uncomfortable keeping water and chlorine out. ZIONOR unique guarantee: From pre-sales to after-sales, ZIONOR dedicates to provide the best customer service on Amazon or official website. We hope you are not only thrilled by our product, but also the superior customer service from us.